EDM (electrical discharge machining) produces ultra-fine detail and complex shapes for prototype and short run production. 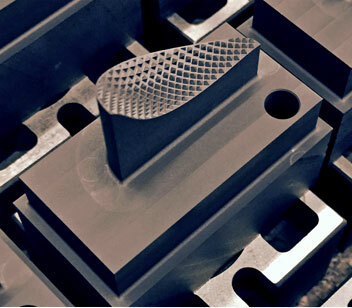 3D Industries specializes in EDM (electrical discharge machining), offering state of the art ram / sink / plunge EDM services capable of producing ultra-fine detail and surface finishes. The EDM process uses custom machined electrodes (typically made from graphite or copper) which creates a spark between the material being machined and the electrode. 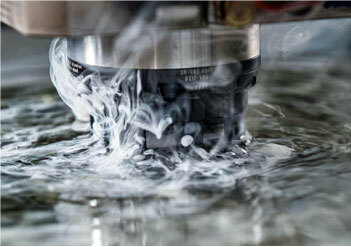 The spark erodes material in the EDM tools pathway, creating the complex cavities or shapes desired. Our temperature controlled EDM department has state of the art Mitsubishi and Sodick EDM machines that can hold .0001 tolerance. All our machines are equipped with robot electrode changers and Ziess CMM inspection to offer a lights out service that will ensure your parts are done quickly and exactly to print. Contact our EDM machine shop team to discuss your machining needs today. 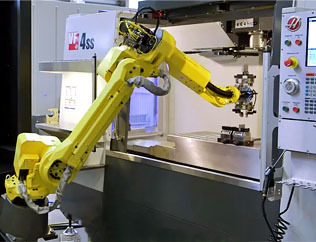 3 dedicated high speed graphite / copper electrode machining centers with a FANUC robot. Our graphite electrode machining department has 3 dedicated high-speed graphite / copper electrode machining centers with robots. 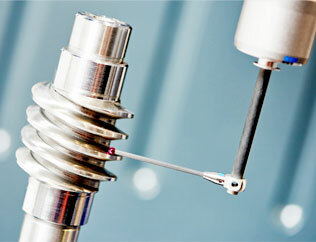 We run complex electrodes on both 3R and Erowa systems round the clock to keep our EDM department running 24-7. Contact the EDM Machine Shop for information on our precision gear manufacturing experience. © 2016 3D INDUSTRIES. 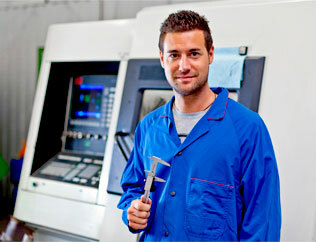 PRECISION MACHINING SERVICES. ALL RIGHTS RESERVED.